For the first time this year it feels like fall. We have drifted out of our normal 90 degree weather this weekend and were greeted to low 80’s and mid 40’s for lows. I love this time of the year. It’s pretty much the only time we can really just relax outside and not worry about being too hot or too cold. 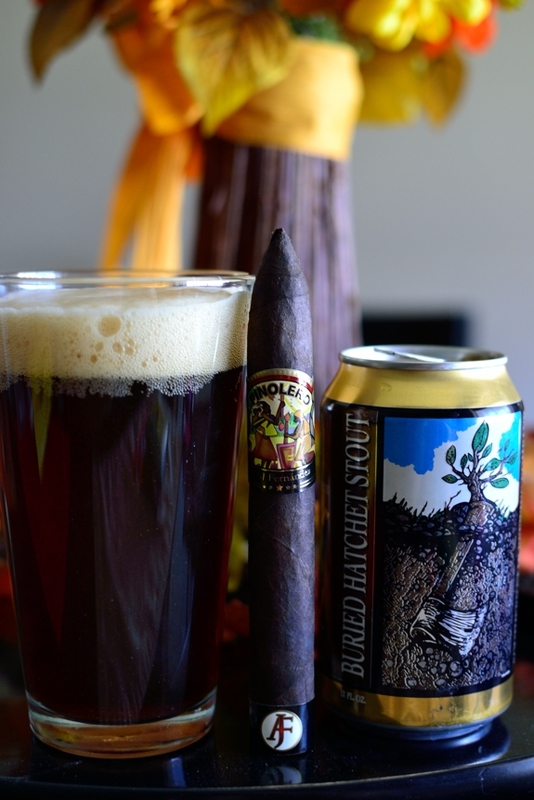 That being said, I decided to pair my relaxation with a AJ Fernandez Pinolero Maduro and a can of Buried Hatchet Stout. 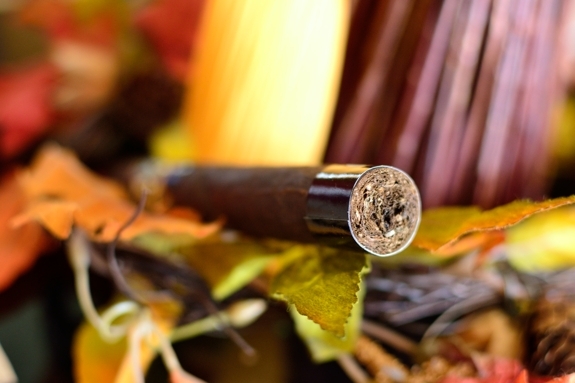 The Good Stuff: AJ Fernandez showcased three new blends at this passed year’s IPCPR show in Las Vegas, the Oval Connecticut (expect a review of that in the near future), the Limited Edition, Pennsylvania Broadleaf-wrapped Mayimbe and the Pinolero Maduro. The Pinolero Maduro is based off the traditional Pinolero only carrying a special “AJ Fernandez” Maduro wrapper in place of the Sun Grown wrapper. It still uses the same Nicaraguan Binder and Cuban Seed Nicaraguan Fillers mixed with some AJ Fernandez Family Secret Fillers. The Pinolero Maduro comes in the same sizes as the standard Pinolero (Churchill 7 x 52, Corona 5 x 42, Torpedo 5.7 x 54, Robusto 5 x 52, Toro 6 x 52, and Gran Toro 6 x 60) and will come in boxes of 20 ranging from $7.40 to $10.40 a stick. I haven’t seen these on shelves yet, but that doesn’t mean they haven’t been just released lately. If they aren’t released yet, I’d expect them in the very near future. My man Spencer Drake graciously sent me a few of these in a goodie back he shot over a bit ago. 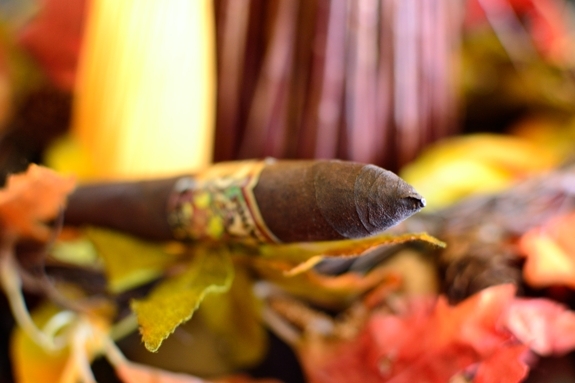 Prelight: The Pinolero Maduro starts out with a beautiful, deep, dark brown wrapper. The cigar is almost black and the color is crazy consistent. The wrapper carries very little oil or veins but lots of tooth and webbing along it’s body up to it’s super-sharp, triple torpedo style cap. This cigar is insanely heavy. I think I could smack a baseball across the street with it. The wrapper is probably strong enough to withstand the force too as it gives almost nothing when I squeeze it between my fingers. 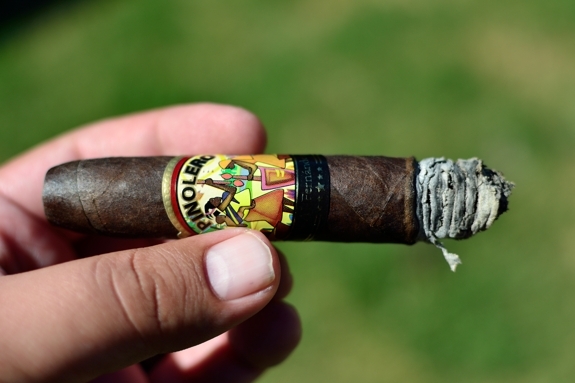 The Pinolero Maduro is polished off with the standard Pinolero colorful band, and an added “AJ” crested foot band. The wrapper on the Pinolero Maduro gives off a ton of sweet, chocolate, syrupy aromas while the foot of the cigar showcases strong pepper, spice, and tobacco. The cap was easily clipped using my Palio double bladed cutter. The cold draw was nice and fluid carrying lots of spice, pepper, tobacco, and sweet notes. 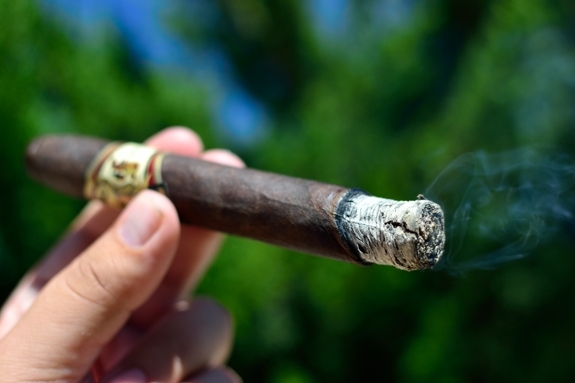 First Smoke: The Pinolero Maduro starts off with a nice, soft black pepper greeting which quickly transcends into a very deep woodsy, dark chocolate, syrupy make-up with some subtle spice and natural favors on the aftertaste. This cigar has some strength to it and I am feeling it right off the bat. The draw on the Pinolero Maduro is spot-on kicking out lots of thick smoke with every puff while the burnline is slightly wavy and pretty thick. The ash left behind is semi-compacted and a bright white/medium grey mixture which held on for an inch before falling into my ashtray. Halfway There: Halfway through this Pinolero Maduro and I am completely impressed with the amount of body in the experience. The flavors just keep pouring on. The cigar is really showcasing some great spice, strong espresso flavors with lots of dark chocolate brown sugar and sweetness. Again, it packs a punch too I am feeling a bit of a nicotine kick already and I’m only halfway through. The retrohale is a heck of a lot spicier than I was expecting. Tons of spice and bitter chocolate coats my nasal passage with every retrohale. The burnline is stick pretty thick and wavy but I haven’t had to touch anything up yet so I’m not complaining. Finish: While the flavors in the final third of the Pinolero Maduro were still rocking hard, I was impressed with how they came together and finished on a very smooth, creamy note. The chocolate and espresso are still the main contenders with lots of brown sugar mixed with some sweetness, and spice. Again, this cigar does pack some strength, but I am not feeling as much as I expected as I venture into the final inch of this cigar. Usually stronger cigars ramp up in the end leaving me a bit woozy but the strength in this smoke has been consistent from start to finish. It took me about two hours to polish off the Pinolero Maduro and I encountered no harshness even as I nub it down to my finger tips. 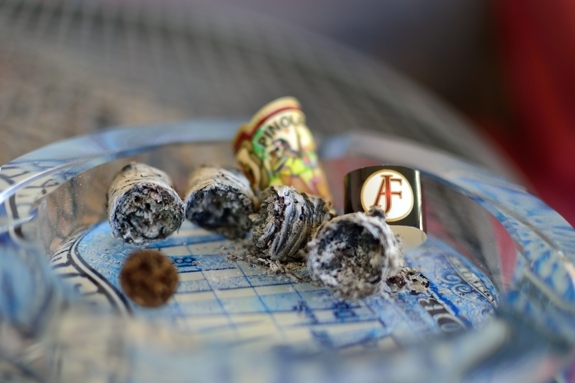 Overview: Can AJ Fernandez make a bad cigar? Really though, it seems just about anything this dude blends comes out great. 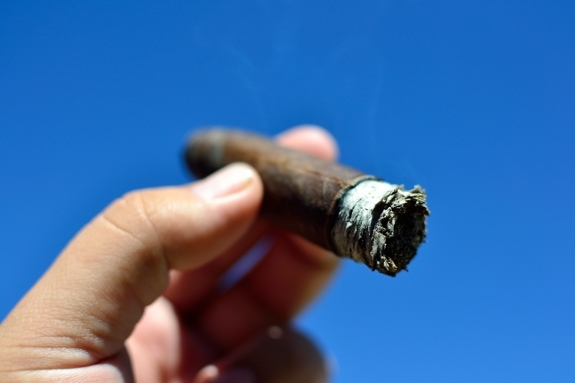 I am a fan of full strength cigars as long as the strength isn’t the main characteristic of the experience. The Pinolero Maduro showcases exactly what a full strength cigar should be by putting the flavors in the fore-front of the experience. This full bodied cigar carried so many complex, yet smooth and balanced flavors that there was never a dull moment. In the end, I wasn’t wobbly from the nicotine, nor overpowered by the flavors. Combining that with the flawless construction and I don’t think you can really ask for more than that. 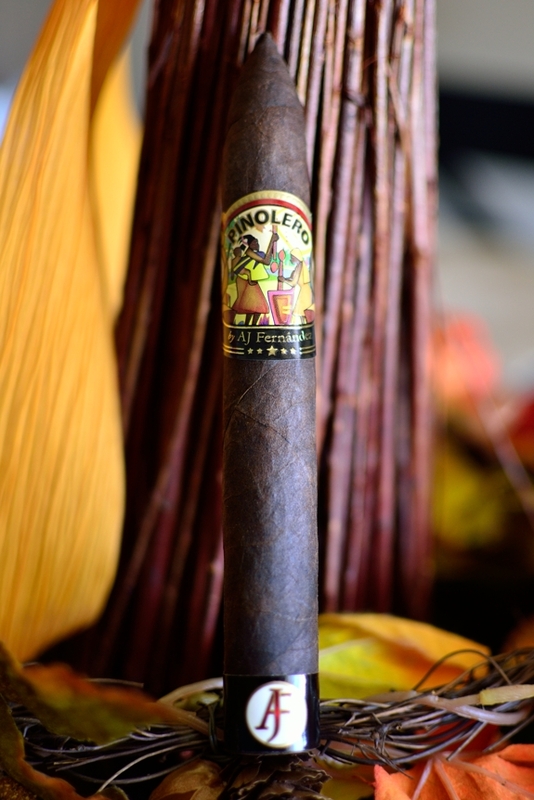 To Sum it Up: The Pinolero Maduro is a classic Maduro with lots of body and strength. It may not be the best choice for a beginner who isn’t used to a bit of nicotine but it will definitely appeal to the novice looking for a complex maduro as well as the seasoned smoker looking for the same. The price range is great. This is a perfect Maduro to have in your regular rotation and I wouldn’t be against picking up a box if I stumbled across one. Pairing: This week I decided to pair the cigar with a beer that carried much of the same characteristics. Texas’s own Southern Star Brewing’s Buried Hatchet Stout. Buried hatchet stout is a great, solid, imperial stout clocking in at 8.25% ABV. The pairing was a match made in heaven. The beer tasted like the cigar, while the cigar tasted like the beer. Sharing the same spice, coffee, brown sugar, chocolate, and sweetness while the beer added an extra layer of creamy, malty goodness. There isn’t much to say about this pairing outside of how simple, and perfect it was. I can’t think of a better way to kick off the fall season. Bring on the stouts! That beer is spectacular. 🙂 I hope all is well after your move. I didn’t want to bug you as I know how stressful the moving process is. I need your new address! Can you email it to me? I love the original Pinolero, I’m working through a box of the toro’s right now. Can’t wait to try the maduro version. He released one other blend at IPCPR you didn’t mention, the Mayimbe. I’m excited to try that one too. Wow, I totally missed that one. Thank you, I will edit the post to include it. Reading up one it, it looks like a solid smoke. Limited run too so I need to be on the lookout. Thanks for the read! Sounds like a great combo. I doubt that beer is available here, though.